Wedding jour of Caroline and Tyler.. . Wallpaper and background images in the The Vampire Diaries TV montrer club tagged: the vampire diaries ian somerhalder nina dobrev elena gilbert caroline forbes tyler lockwood bonnie bennett alaric satzman. 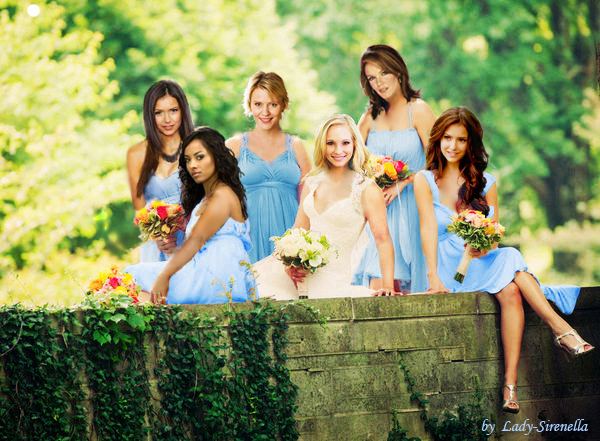 This The Vampire Diaries TV montrer fan art contains demoiselle d'honneur, demoiselle d’honneur, bouquet, corsage, posy, and nosegay.